Several weeks ago, it was my birthday and I wanted to share a super cute gift and card I received. Isn't this just adorable? 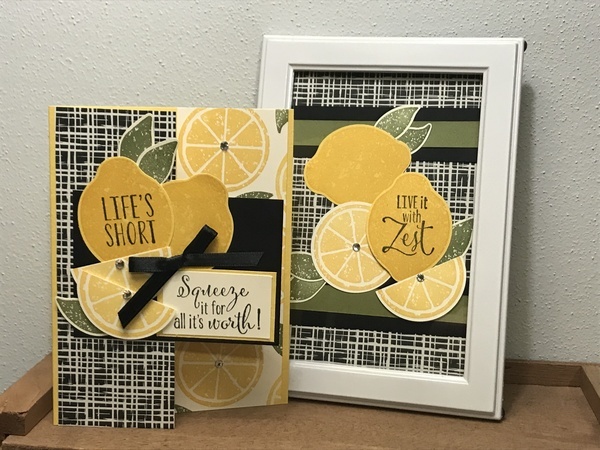 I always liked this stamp set, Lemon Zest, but never got it. Sigh...my loss. You can't help but to notice the card and picture match. That is so my friend. She's very matchy matchy. Gotta love it. Now, I'm not positive of all the materials that were used. The yellows are probably Crushed Curry and Daffodil Delight and the green looks like Old Olive. 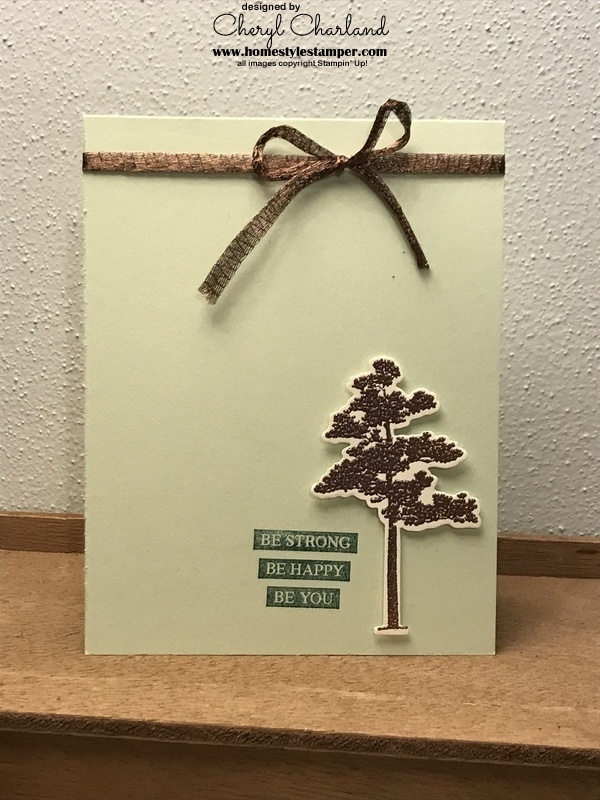 For the patterned paper, I wish I knew what it was, if it was Stampin' Up! at all. I looked on the current DSP, and I didn't see anything that resembled it. Oh well. Wouldn't this picture be adorable with a bowl of lemons? I have it in my stamp room, but I have to get something to go along with it. It's got me thinking.